Georgia under President Mikhail Saakashvili first underwent a spectacular reform, but has now turned back into a typical post-Soviet state, oppressing its own people, believes Nino Burdzhanadze, former parliamentary speaker, now an opposition leader. "In Georgia right now there's real neo-Bolshevism with all signs of a Soviet regime: violation of elementary constitutional norms, violation of elementary human rights, control of media, police, which [are] doing everything – despite of their legal obligations – [as] if it's coming from political decisions. It's a typical Soviet country, where every person who is against the regime is [called] enemy of the country," Burdzhanadze told RT. The only noticeable difference from the old Soviet times is that now the great enemy is Russia rather then world imperialism, she added. The police crackdown on Georgian opposition in late May was an example of how things are done in Georgia now, the opposition leader says. 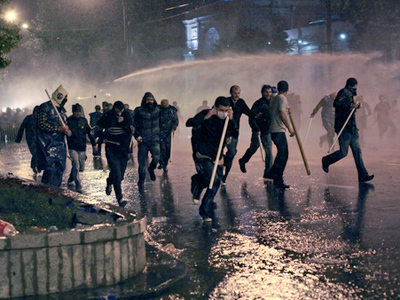 It was an operation to punish protesters, not to uphold the law, Burdzhanadze believes. "The Georgian special forces surrounded us. The people were in [a] trap. There was no way out. There was not possibility to leave the square. 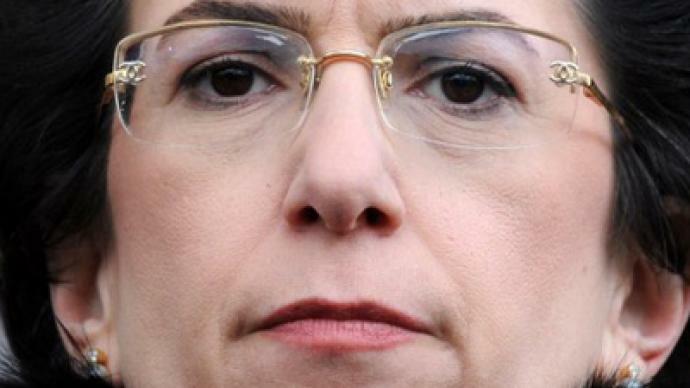 As we understand, special services received instructions to arrest all demonstrators… to beat people brutally, especially at their heads… It was a real punishment [meant] to threaten the people," she said. The image of Saakashvili, the brilliant reformer, is very strong in the West, so it will take time and effort to make people see that things have changed, Burdzhanadze says. 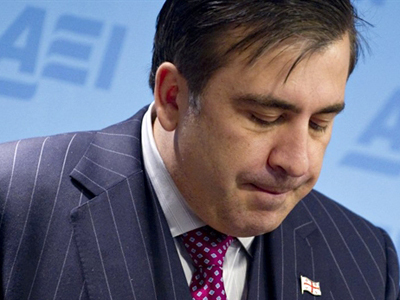 "Saakashvili pays lots of millions of euros to lobbyists and PR companies. But nevertheless you can see quite critical articles concerning him too. You can buy many things with money… but you can't buy everything and everyone," she said. Support of the Saakashvili regime has certainly decreased, especially in the United States, the Georgian politician believes. She says she has to work more to keep the process going.